Have you ever struggled to describe a problem with your computer or professional equipment to the support team over the phone? If only they could see it as you see it? A tech company in Italy had exactly the same thought and decided to make it happen. GlassUp has developed augmented reality glasses to help. 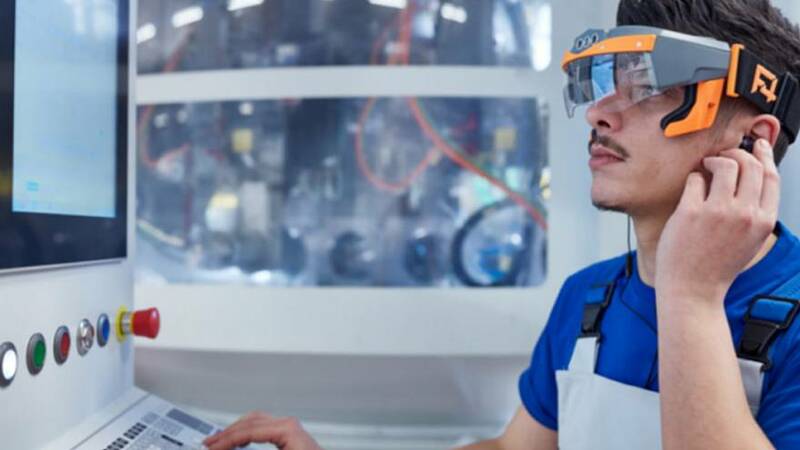 The smartglasses are equipped with augmented reality visors, a camera and a microphone, linked to a remote control dashboard, which shows the point of view of the person wearing the glasses. They can be used for remote assistance, on the job training and image recognition. “Originally, we wanted to make glasses to allow the user to see their Facebook notifications and WhatsApp messages”, Francesco Giartosio, GlassUp’s founder and CEO, told Euronews. The 19-member GlassUp team, based in Modena, Italy, has been granted EU funds totalling almost €2 million, as well as a €450,000 loan from the Italian government. GlassUp is working with companies in the automotive, packaging and insurance sectors, too. They sold 40 pairs of glasses last year and 60 in 2018 so far, Giartosio said. The company is also developing a helmet for cyclists, which indicates the time, the bike’s speed, gives navigation directions and includes wearable rear view mirrors. Giartosio is passionate about the human augmentation theory: “It gives someone superpowers, in a way,” he said. “I was contacted by a conductor in Czech Republic who hopes to use the glasses to enable players in his orchestra to play without music sheets”, he said. Muslims wanting to read the Quran as they pray in the mosque could be a big market too, he added. Theirs is one of ten projects nominated for the European Commission’s Innovation Radar Prize 2018 in the 'Industrial & Enabling Tech' category. The awards recognise new technologies and components, developed with EU-funding, that have industrial relevance and/or potential to enable the emergence of new applications.